The Hope House is full with patients on the road to recovery, and also decorated for the Christmas Season. 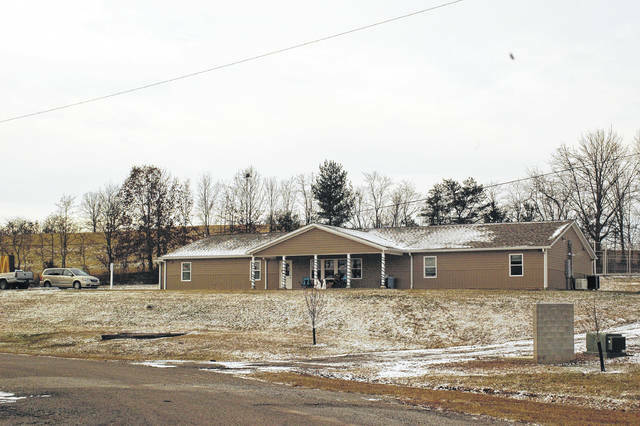 VINTON — Field of Hope has now operated their full time residential recovery facility, the Hope House for three months. Having opened Sept. 1, the residential rehabilitation treatment facility is fully staffed and occupied with 14 female residents. As part of their rehabilitation process, they also are operating outpatient chemical dependency counseling for both men and women, and this practice has picked up substantially since the opening of Hope House. Field of Hope recovery is a faith based organization that, while certified by the state as a treatment facility, relies heavily on their Christian Faith to offer hope and treatment to patients. Hope House initially was operated as a halfway house, where residents could come and go with certain limitations. Finding the balance in freedom and grace for the patients when they mess up and what is best for their recovery led the organization to transition to a full time rehabilitation model. Richards is glad for the increased time that patients are spending in recovery for the increased benefits of recovery. Richards also explained a concerning new regulation from the state regarding the length of time patients have in recovery facilities. The new mandate states that after 30 days, it is up to the insurance company to determine whether treatment is still necessary or not. “I would say six to nine months is great, but a year is what I would like to see happen,” stated Richards. CEO Kevin Dennis explained that some of the females in their facility are court ordered, while others still are voluntarily there. Some have been in the home longer and are experiencing higher levels of recovery as well. Yet, he is hesitant to call it a success. Financially, the organization has seen an outpouring of generosity from churches and civic organizations. Refraining from naming names, Dennis explained that one family donated a slightly used minivan which has been in service daily for the hope house, transporting patients to appointments. The success of individual patients is already becoming apparent to Richards. Richards measures success in small ways, looking to the future for the residents. Dennis explained that there has been one bright spot in their work so far. The future for the Field of Hope ministry looks bright, according to Dennis. They are currently expanding some of their maintenance facilities, continuing to train their staff, and seek to grow in their prevention efforts. They are located in the old North Gallia High School building, which has the gymnasium space which is planned to use for prevention. “Were just hoping to plant that seed and get them on recovery with the tools they need,” said Richards.